The beauty of this book is that it isn’t simply a history of music, music as entertainment, or its prominence in human cultures, but describes the actual power of music, hence its title. As Tame notes in the “Overture,” (the intro), music’s influence plays on us constantly as it alters our heartbeat, relaxes or tenses us, affects heartbeat and blood pressure, and fills us with a range of emotions. He contrasts historical societies in which people were very conscious of music’s power as compared to today’s materialistic notion that music is not essential, something on the periphery, something in the United States at least to be cut from many school’s curriculum as unnecessary. Tame begins with fact that ancients believed there was sacred power within sound and music. A main thrust of Pythagoras’s research was to discover the nature of music and he discovered that tones could be reduced and explained through numbers and mathematical ratios – the same as those of the mathematical universe and many of the forms therein. 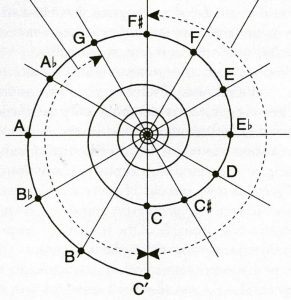 Pythagoras’ concept of music was deeper than the material and the academic, as it reached to and from the cosmos and combined the spiritual with the material. Tame presents the notion that music is a force that creates order out of chaos, helping to achieve a greater universal order. His favorite axiom seems to be “As in music, so in life – ,” raising the belief that civilization is shaped and societies are molded by music and in turn the character of a civilization shapes the music. In addition, as shown on the left, throughout history humans have related the structure of music and its ratios to the natural world. In this case, the Fibonacci sequence which creates this spiral shape matches the ratios of the notes on the scale perfectly. 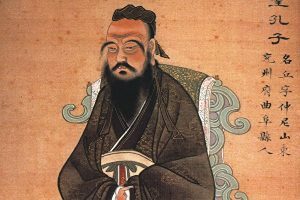 Tame uses ancient China as his primary example of how music played a role in civilization building. The Emperor Shun, Shu King, would travel each year throughout the provinces to check on the health and status of each territory. He would not audit books, observe the population, or interview authorities as the most important means to assess the health of his empire. Instead, the Emperor tested the exact pitches of their notes of music, the five notes of the ancient Chinese tonal scale. Eight types of instruments were brought and local songs played so that he could verify that they were all in line with the 5 tones. To the ancient Chinese, music was the basis of not only civilization, but of everything. 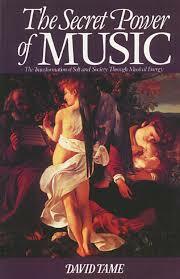 The nature of the music reflected the nature of the people and Emperor Shun would use it to determine their health. The reason that music was so vital to Chinese society and philosophy stems from their belief that music held the same powers that governed the entire universe: it was a form of the Primal Sound, called OM. 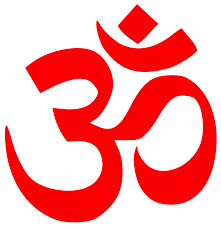 The OM is not audible but a divine Vibration. From here, according to Chinese beliefs, the Primal Sound is broken down into twelve tones with each representing the twelve zodiacs. In fact, Tame states that astrology itself arose from the influences of the twelve tones and the Cosmic Tone. He goes further to write that the ancient civilized world incorporated the number twelve, which derived its significance from OM/music, further into their daily lives and hence twelve months of the year and the twenty four hours of the day. In true Chinese form, on a side note, these twelves tones were divided into two: six Yang tones and six Ying. Together they created and sustained the entire universe. Tones and music were considered a reflection of the celestial order. The harmony and perfection are maintained by the Cosmic Tone and in parallel the harmony and perfection of human lives and society on earth should be maintained by music. This belief, as referenced by Tame, is rooted in the Chinese text The Spring and Autumn by Lu Bu Ve representing a time between 722 and 479 BC. Ve writes that music arose through proportion and ratio manifested by “the Great One” who initiated a cosmos of cycles between light and dark, heaven and earth, ending and beginning. All is in coordination: the planets, the seasons. When all is in coordination on earth, peaceful and perfect, then music can be perfected. Therefore, a province’s “perfect” music proves their health. Perfection is the most important word in ancient Chinese music. Nothing was left to the whim and creativity of the musical performer, as in jazz for example. The musician was viewed as a medium to allow the perfection of the celestial universe shine on earth through music. According to them, life on earth and music must follow the same logical patterns. Random notes by individuals would create turmoil and uncontrolled chaos. This is why Emperor Shun paid so much attention to the music of his provinces. If one area’s music was wild, out of control, unique, or did not follow traditional rules of structure well then most certainly there must be a serious societal problem! As stated, the tones were aligned with the months of the year, the first six being Yang tones and the second being Ying tones, each having its own key. The musician was responsible for playing according to the musical scale of each month. Staying in harmony ensured health and success and this was not only beholden on the musicians to maintain, but also on rulers. month. They changed the root note. This is precisely how Western music moves through the modes and it is based on this musical inventiveness of the Chinese. These are the modes that aspiring musicians learn and practice today, the Ionian, Dorian, Phrygian, Lydian, Mixolydian, Aeolian, and Locrian. They are achieved by simply moving the base note and beginning the scale there. The Chinese only used seven notes of their twelve, which are the seven major notes of today’s scale: Do-Re-Mi-Fa-So-La-Ti. Interestingly they rarely used the semitones Fa and Si which corresponds to today’s pentatonic scale. This ancient concept of the embedded nature of music, powered by the Celestial tone, was considered a part of the human character as well. Each of the five notes were related to the five important Chinese virtues of benevolence, propriety, faith, righteousness, and knowledge. Human qualities are aligned with tones and specific types of music have an actual objective effect on humans, a power of music. Tame wraps up his discussion of China by tracing the events that led to civil war and transition to communism in China. In the late 20th century Communist leaders required the populace, including children, to observe a daily routine of “death chants” which called for destruction of capitalism and the western world. Tame writes that the ancients would have seen these death-chants as a means of utilizing the power of the Cosmic Tone and music to create an objective change in the human world. He infers that the disappearance of the ancient Chinese belief in perfection and harmony is reflected in its demise from classical opera of the early 20th century to “death chants.” A similar belief occurred in the 1980s as well, that heavy music “made” teenagers “devil worshippers” and that the music was proof of a sinful society. Tame leaves us with a question at the end of his section on the origins of the Power of Music: we may scoff at the Chinese belief that music is an actual cosmic power because of our scientific and “enlightened” minds today. We know better, that sound is only a vibration, and we are so much wiser today – or, Tame asks, are we? The beginning section of Tame’s book covered in this post raises some questions. Does music have an ethereal power, or at least a power over human beings, something greater than simply a physical vibration? Today most would say that it is certainly a reflection of society, but can it also influence society? Totalitarian regimes would think so. When did the change occur from valuing traditional “perfection” among the ancients to valuing individualism and improvisation that are explicit in jazz and other forms? Can it be traced to the individualism of the 19th and 20th centuries? Can music only be divine if it mimics the harmony of the universe, or divine if it is uniquely human? Another month or so has passed since we last did a write-up of our latest collections of royalty-free music and stock music, so here’s another little update from us. 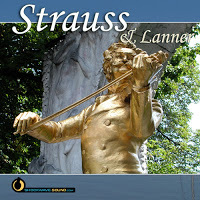 Among other new albums, we have a beautiful new album of royalty-free String Quartet performances of Mozart music. 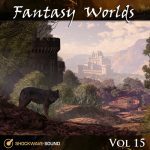 These blogs don’t feature all the new music we’ve released in the past month, they only feature the CD-collections. Many of the tracks we release actually never get included on a CD-collection. We release a large number of new tracks every week. Occasionally we take some tracks and put them together on a CD-collection as well. 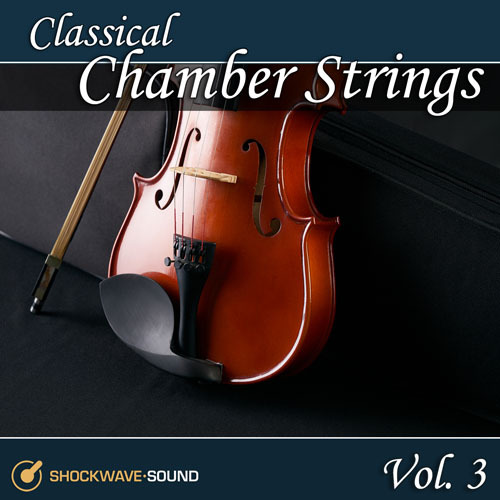 https://www.shockwave-sound.com/royalty-free-music-collection/771/classical-chamber-strings-vol-3 – A stunning collection of elegant, graceful String Quartet pieces by Wolfgang Amadeus Mozart, performed live in studio by the Allegro String Quartet. A 100% live music project – no samples, no computers. 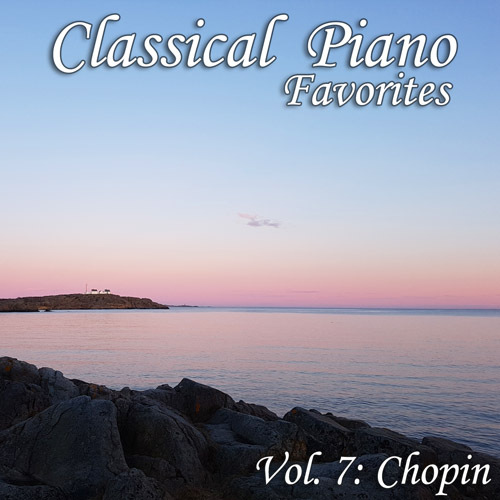 https://www.shockwave-sound.com/royalty-free-music-collection/767/classical-piano-favorites-vol-7-chopin: 20 beautiful solo piano tracks by Frederic Chopin, with an emphasis on some of his most lyrical and graceful pieces. Performed live in studio by concert pianist Želimir Panić. 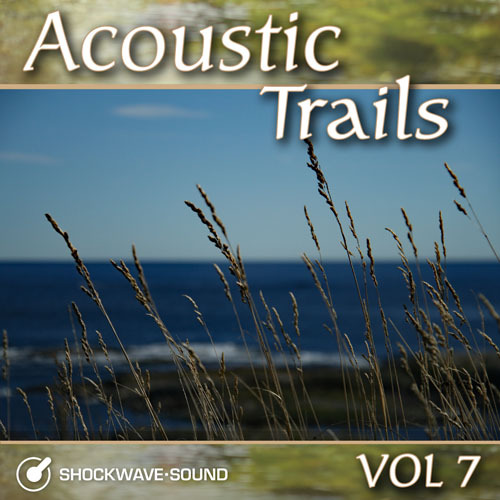 https://www.shockwave-sound.com/royalty-free-music-collection/768/acoustic-trails-vol-7 – Natural, organic, free-flowing and earthy music tracks with a sense of easy and carefree days. Acoustic instruments and transparent productions. 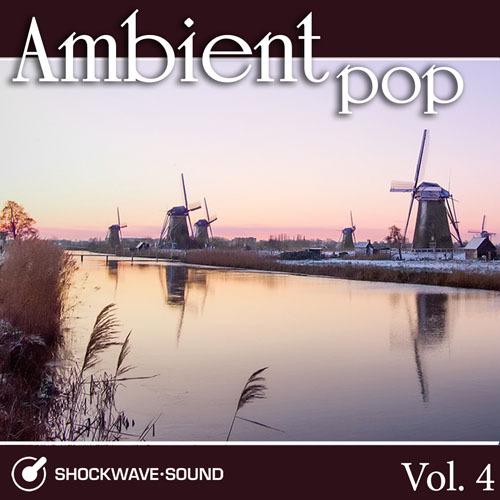 https://www.shockwave-sound.com/stock-music-collection/769/ambient-pop-vol-4 – Touching and heartening, light and easy productions with a real feel for hope, personal stories and the human condition. Great music for use with real people, real lives, real stories. 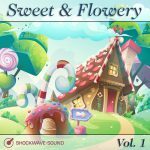 https://www.shockwave-sound.com/royalty-free-music-collection/770/feelgood-trax-vol-22 – Fun, happy and feel-good music tracks that will bring an uplifting, hopeful and joyful feel to your productions, videos, presentations. 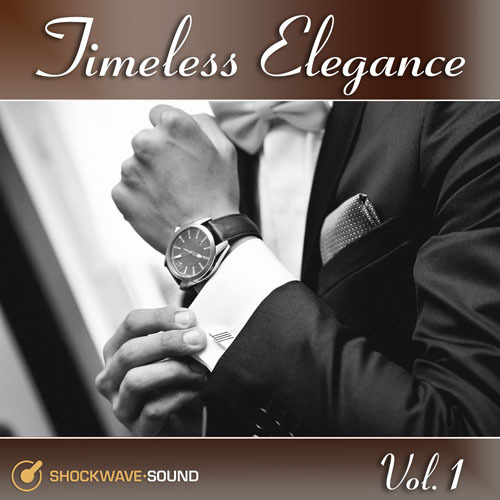 https://www.shockwave-sound.com/stock-music-collection/772/timeless-elegance-vol-1 – These tracks are built on contemporary/modern instruments but in a combination with classical music influences and instrumentation such as piano and string sections. The music brings a sense of effortless grace, class and style to many types of productions and presentations. We hope you’ll find some of our new music to be of interest for your media projects. Please remember to “Like” our Facebook page: https://www.facebook.com/swsound/. And if you have any questions, issues, suggestions etc., please get in touch with us through the Contact page on our site. We are here and always happy to hear from you. All the best from all of us at Shockwave-Sound. Classical Piano Favorites Vol. 2 – and why it’s so great! 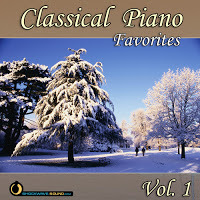 Dear customers, visitors, passers-by and everyone who might stumble across our site today..
Today at Shockwave-Sound.com we released our new album Classical Piano Favorites, Vol. 2. I just wanted to take a moment to write a few words about this album because I feel that this is not “just another classical piano album”. These days, with all the technology we have available and all of the amazing sounding samples and virtual instruments, it’s pretty easy for anybody to obtain sheet music of classical piano masterpieces, enter them into the computer, and export this as a pretty decent sounding recording of the piece in question. 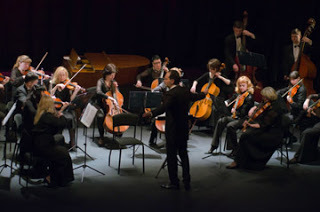 However, we feel that this isn’t really the way to go, and especially so with calm and soothing classical piano works, because we feel that it’s vital to have the pieces performed by a human with some insight, some experience, some touch and sensibility as to what this beautiful music really is about and what it means to us. 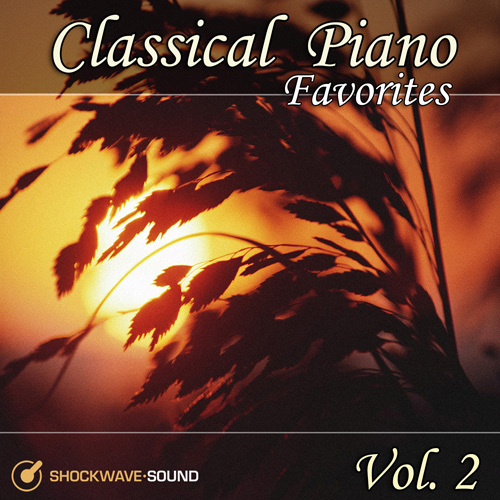 This is why, for both of our Classical Piano Favorites Vol. 1, and Vol. 2, we decided to seek out the services of Vadim Chaimovich, a renowned and accomplished concert pianist. Vadim is a prize winning musician, originally from Lithuania, who studied the piano from the age of 5 and is today a popular concert pianist, traveling the world and playing to audiences’ great delight. We were lucky enough to get Vadim on board with us, and for these projects he hired an amazing grand piano and had it tuned up especially for the recording sessions. He rehearsed for weeks and then recorded the album over a period of a few days, with top-of-the-line recording equipment in a pro studio. Because, well, if you’re going to do something, why not do it right?! We feel that these amazing compositions by Satie, Mozart, Mendelssohn, Bach, Chopin and many others deserve this kind of treatment from a true connoisseur of classical music. 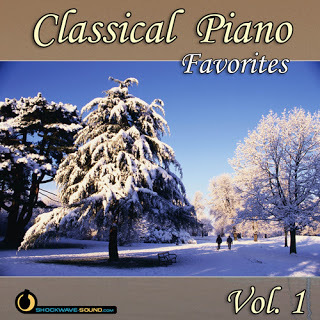 Listen to the beautiful, unique and touching performances of our “Classical Piano Favorites” albums and we think that you’ll be amazed. Honestly, it’s quite unheard of, that performances and recordings of this quality is made available for “anyone” to license for such low license fees. (Starting from around $30 for a track or $100 for the whole album). 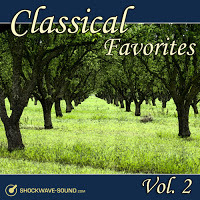 Good quality, royalty free classical music, is hard to come by. That’s just a fact. Why? Because hiring an orchestra, with studio time and engineer, is extremely costly and time consuming. It’s a process that requires meticulous planning and preparation and costs “a small fortune” to get it done. 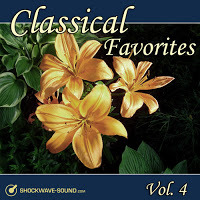 In the “stock music scene” there have been various sources of so-called royalty free classical music, of dubious origin. 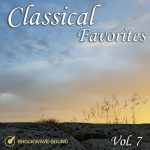 On some “free for all, self-uploading” websites, you can find classical music recordings that almost certainly don’t actually belong to the person who uploaded them, but rather sourced from some published CD, and belonging to another company. If “some guy” is uploading fully orchestrated recordings of classical masterpieces, you need to ask yourself if that guy really spent the time, effort and money (possibly several hundreds of thousands of dollars) on getting that music recorded, so that he could sell it for $15 at a stock media site that allows a free-for-all self-uploading of content for sale. It goes without saying, that recording is not going to be safe, copyright wise. 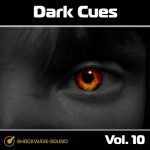 Here at Shockwave-Sound.com we have also been exposed to these “unsafe” recordings, likely to be copyrighted to some company who doesn’t know that their recordings are being uploaded to stock music sites. Instead, we focus on getting a smaller volume of recordings done, but to have them done from scratch, exclusively for our company. 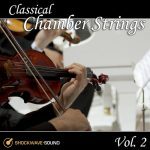 At the time of writing, we have 74 such exclusive classical recordings that we ourselves have organized and got recorded for us on a work-for-hire basis. We are adding to that regularly, so by the time you read this, we may have many more. 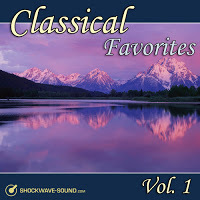 These recordings are not for sale through any other stock music / royalty-free music website. Those were the 4 new releases we’ve put together this week. We already had the individual tracks in our catalog and have been acquiring them over a longer period of time, but it was only this week that we put them together into “CD-collections”. We hope you enjoy the music, safe in the knowledge that they can be licensed for use in media and in public, without fear of copyright infringement.